While dramatic increases in populations of King Penguins (Aptenodytes patagonicus) have been documented throughout their range, population changes on the island of South Georgia have not been assessed. We reconstructed time series of population size for six major colonies across South Georgia using historical data stretching back to 1883 and new population estimates derived from direct on-the-ground censuses and oblique, high-resolution digital photographs. We find evidence for a significant increase in the population of King Penguins at all colonies examined over the 124 years of available survey data. 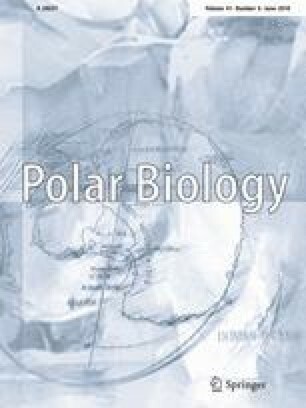 We discuss our findings in the context of four established hypotheses explaining King Penguin population growth: (1) favorable changes in the pelagic food web; (2) climate forcing; (3) greater availability of breeding habitat; and (4) the cessation of harvesting. While we do find evidence that glacial retreat may have increased suitable breeding habitat at some colonies and facilitated population expansion, glacial retreat is not associated with all of South Georgia’s growing populations. Local anomalies in sea surface temperature have increased in parallel with King Penguin population growth rate, suggesting that climate forcing may contribute to colony growth, but a complete explanation for the island’s rapidly growing King Penguin population remains unclear. The online version of this article ( https://doi.org/10.1007/s00300-018-2271-z) contains supplementary material, which is available to authorized users. We gratefully acknowledge assistance from the US National Science Foundation Office of Polar Programs (Award No. NSF/OPP-1255058) and the Explorer’s Club. The authors would also like to thank S. Poncet for contributing data, and C. Black, A. Borowicz, G. Clucas, G. Humphries, M. Lynch, B. Goncalves, C. O’Leary, M. Schrimpf, and C. Youngflesh for help with data collection. Additionally, we would like to thank C. Bell, R. Biondo, L. Caliguri, K. Gregory, V. Kennelly, S. Vincent, A. West, and T. Wong for help with counting panoramas. We gratefully acknowledge the support of the One Ocean Expeditions, Cheeseman’s Ecological Safaris, and Quark Expeditions and their field staff for their support in the field. All research was conducted with under the approval of the Stony Brook University Institutional Animal Care and Use Committee application 2011-1881-FAR-6.19.20-BI and South Georgia and South Sandwich Islands Permit #2015/018, and 2016/035.